This course is designed to equip learners with the skills and knowledge to work in a variety of areas within the Animal Health Care sector, or to progress to Higher Education through the Higher Education Links Scheme. Learners will study core areas of Animal Health Care and are enabled to put theory into practice through experiential learning in a fully equipped Animal Health Care Suite. This course is delivered by specialists who are currently practising within the profession. Regular field trips and the handling of a wide variety of animals are key features of this course. 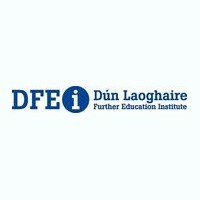 Entry Requirements One of the following: Leaving Certificate Established/LCVP Leaving Certificate Applied Relevant Level 4 QQI Award Mature Applicants are welcome As there is an emphasis on the science subjects, Biology, Animal Anatomy and Physiology, a background in science would be desirable, but not essential. Carear Path Graduates may seek employment in: veterinary clinics, dog grooming parlours, pet shops, catteries/dog kennels, animal welfare organisations, agricultural, science industries, farms (including petting farms), zoos, wildlife parks, and self-employment (both in Ireland and abroad).